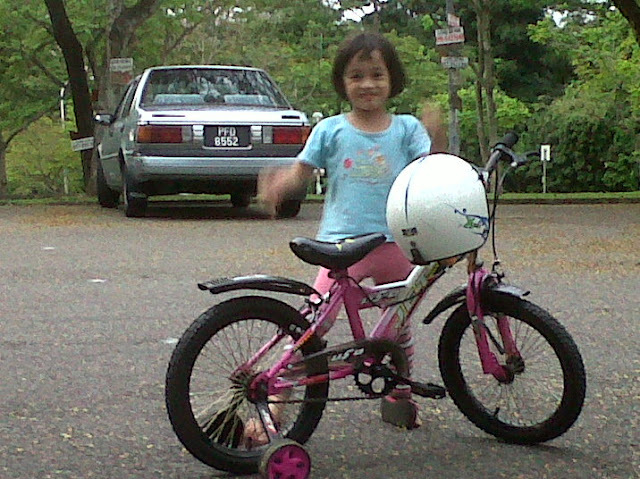 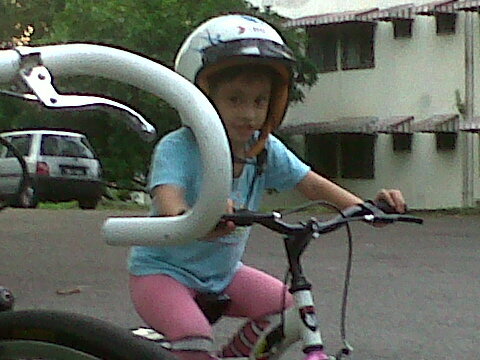 Akhirnya we got Icha her long request toy...the bicycle! After came back from SMKWM2 we both were sooo tired and thinking of buying the bicycle in the evening. 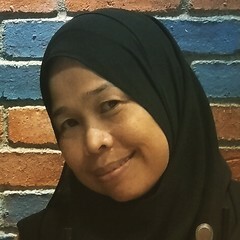 After resting for some times me and D'Hubby went to buy food (lauk pauk) but I have cooked the rice..too tired to cook too coz the day was soooo hot! 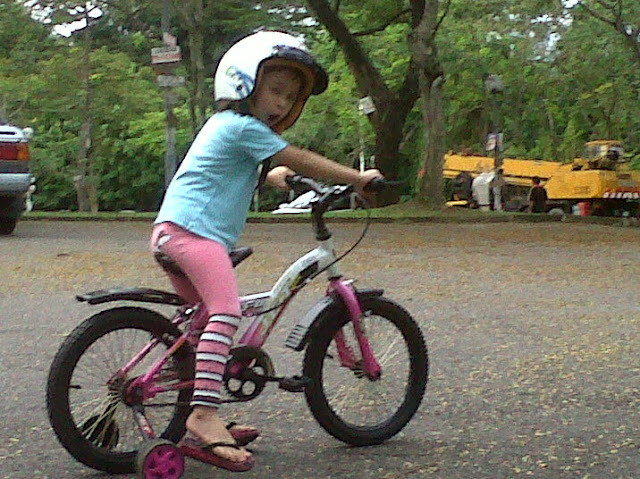 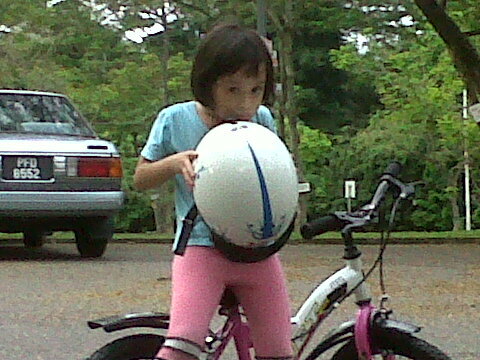 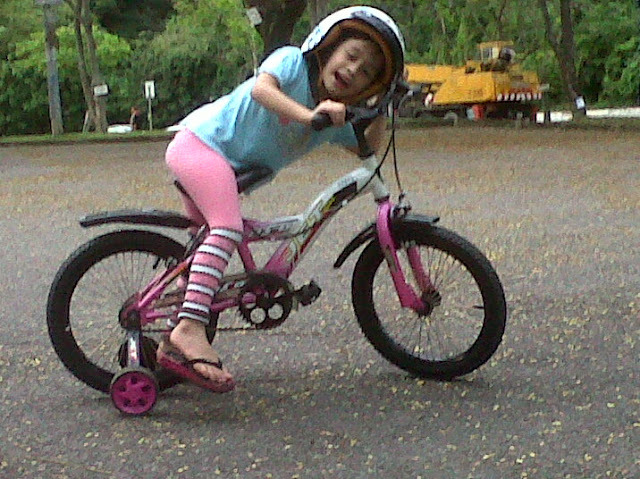 Icha is on her bicycle! 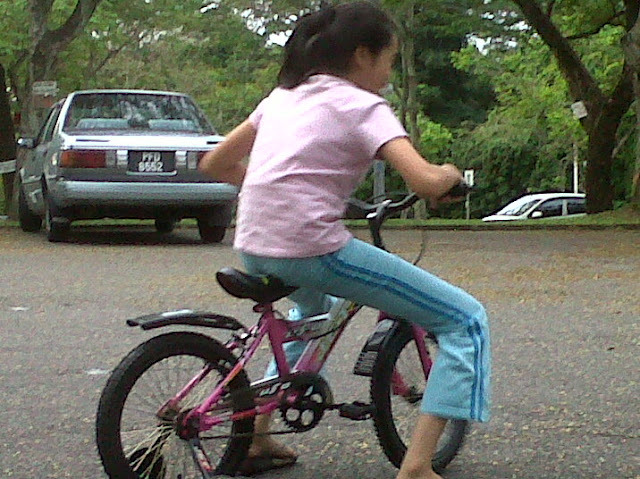 So that evening I cook prawn fritters (cucur udang) and hot milo to have for picnic which watching Icha and her other sisters cycling..hehehehe what an enjoyable day!